For the next few months, we invite you – if you dare – for a special celebration of The Twilight Zone Tower of Terror™ leading up to its final check-out on January 2, 2017. The salute kicks off during Halloween Time at the Disneyland Resort, September 9 through October 31. The spookiest time of the year is the perfect time to experience this attraction before it checks out of Disney California Adventure park. During this celebration, the deepest, darkest corner of the imagination will get even darker. Each night, beginning September 9, after twilight Disney California Adventure park guests will be treated to “Late Check-Out.” Experience The Twilight Zone Tower of Terror™ as you never have before … in complete darkness! We’ll have more details to share soon, so keep an eye on the Disney Parks Blog for more ways to celebrate The Twilight Zone Tower of Terror™ before it checks out of Disney California Adventure park on January 2. Is “Late Checkout” only going on during Halloweentime or all the way through January? Hi Jessica – “Late Check-Out” is scheduled to continue until January 2. Sooooo, is the attraction just getting a new theme or is it going away officially? 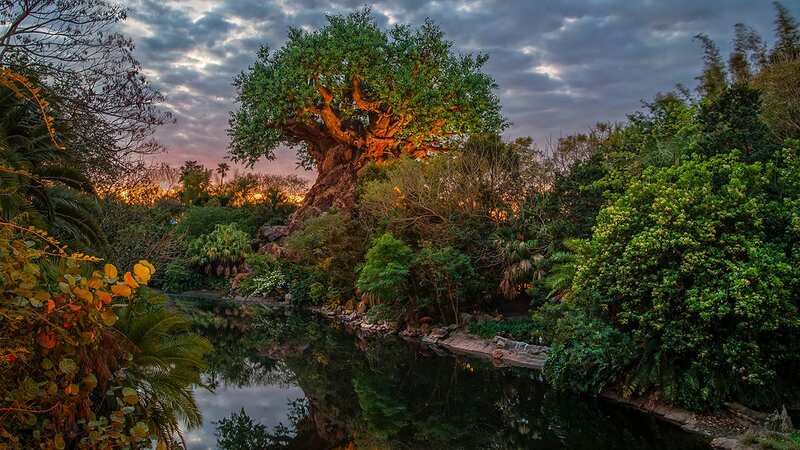 Hi Dan – Check out this post from Joe Rohde for the details. Hi Jesse – The attraction is scheduled to be open again later this week. These limited-time experiences will begin September 9. Is the ride going to be open on Jan 2? Great question, Jamie – The attraction will be open until of the end of the operating day on January 2. So, “Late Check-Out”will only be offered at night after twilight not during the day. Correct???? This happening every night from 9/2 to 10/31? Or is it only during Mickeys Halloween party? Hi Debbie – This is not part of Mickey’s Halloween Party. Some of the experiences will continue after Halloween Time at the Disneyland Resort ends, until January 2. Will a special fastpass/ticket be needed for “Late Check-Out”? So we have some time but for socal,socal select Dec 15th, and deluxe Dec 18th and all passes blocked except for signature on Jan2nd. I was hopping it would have been decided to close like Jan 9th. So more could ride it. Oh well will the special photo op be up until the end ? Are the performance by the Silver Lake Sisters continuing through January 2 or just during Halloween? Thanks! Hi Vanessa – The Silver Lake Sisters will only appear during Halloween Time at the Disneyland Resort. Thank you for the update Erin. This event sounds really fun. Hey there! So will we still be able to ride TOT during normal DCA hours or is it just the late check out? Yes – Twilight Zone Tower of Terror will be operating as normal during daylight hours. Will the TOT in WDW be changing as well? I have heard rumors this change at DCA is due to Twilight Zone proprietary issues. I am always up for change, but I am disappointed in this one. The theming of the Red Car Trolley made so much sense. Driving to a marvel tower, not so much. There are no plans to change the attraction at any other park at this time. This may seem like a terribly silly question but does “complete darkness” mean the doors aren’t going to open on the ride? Not silly at all! Yes, the doors will still open … letting in a bit of light. But otherwise, complete darkness! Hello, I am visiting the park from sept 3rd-8th. Will the ride be open during this time? Twilight Zone Tower of Terror is scheduled to operate through January 2, 2017, but it’s best to keep an eye on the daily calendar at Disneyland.com for any possible down times between now and that date. Thanks for the update, Erin! I’ve been waiting for a closure date, the “early 2017” was a bit vague. 8:) So, it’s my daughter’s favorite ride and we were shooting to get down there on a Tuesday, Wednesday, Thursday, of the first or second week in January to beat the closure. (Winter Break for her college) Looks like we just missed it. I guess my question is…is the closure date ‘set in stone’? Could there be a little ‘play time’ with that date? I’ve just recently started following this blog, thanks for all the good work!! Thanks, Kyle! I don’t think the date will change, but keep an eye on the Disney Parks Blog and Disneyland.com for updates. I am visiting in November 13-19. Will tower of terror be operating ? Why is the Tower of Terror Checking out in January? Check out this post from Joe Rohde for the details. Oh no! This was my 9 year olds’ favourite ride! Ours too! Is there something similar to replace it? We were looking forward to coming back just for the ride….. If the doors are still going to open during “late check out”, what is actually different about the ride? The drop sequence is already in the dark. Disney listen to your fans! Seems like most want to keep this ride (see Facebook comments). Is it really a good business decision to get rid of a fan favorite? I’m shocked it was considered in the first place. Is there a good reason besides replacing it with a current theme? It’s also my family’s favorite. Extremely disappointed. will “Late CheckOut” be every single night or on select nights thru Jan 2nd? “Late Check-Out” is scheduled to run every night through January 2. Genuinely sad to see Tower of Terror leave DCA, but I am glad to see it’s being celebrated before it goes. Merch and an event like this helps ease the loss! Can’t wait for a Late Night Checkout! Does “If it ain’t broke, don’t fix it” mean anything to you? From I have experienced over the years, I have come to realize that the negative comments on social media are usually from a very vocal minority, and are not necessarily an accurate representation of how the general public feels. There are in fact many people who are excited about the idea of this new experience. It’s really a shame to lose Tower of Terror. Nobody ever said that change was easy, but I personally try to be open to new things. Really bummed to see this ride go. I wish they wouldn’t get rid of this classic, it’s storyline and atmosphere was truly unique and something we looked forward to each trip. You had me at random drops! Completely sad to see TOT go, but trusting Dland execs will get it right. I’m really disappointed Disney chose to change this well themed and liked experience. I would have thought a Marvel franchise would have warranted it’s own unique experience, developed from the ground up. IMHO, DCA needs more E-Ticket attractions, to help lure visitors to this under utilized theme park. Replacing Tower of Terror with Guardians of the Galaxy, doesn’t do that. I do believe the, “Late Check-Out,” will be popular though, and I look forward to experiencing this soon. Sad to see the Tower go, though :,-(. Just to clarify, the “Late Check-Out” includes the memorabilia and the complete darkness after twilight, etc. and that goes all the way until the closing date of Jan. 2nd? That is correct. The Silver Lake Sisters will only appear during Halloween Time at the Disneyland Resort, but everything else will continue until January 2. Is there a date when details for Late Check-Out will be provided? What do you mean complete darkness will you just hear rod serlings voice but no mirror or hall scene will the lights be off in the boiler room and lobby or will the sign and lightning be all of for the tower? Also will it be open during Halloween Parties? I am so very SAD to see this wonderful ride go. It goes with the old Hollywood theme so well too! I wonder what will replaces this??? So terribly sad about this, the ride is one of my son’s favorites here in the park!! Disney announced that the Tower structure will be rethemed (inside and out) into an attraction inspired by Marvel’s Guardians of the Galaxy. Imagineer Joe Rohde made a post here on the blog with information about it. The attraction will use the same ride system as Tower of Terror. It’s been stated that this will be the first step in a larger Marvel presence in the park. It is rumored that there will be a Marvel themed-land behind the tower. I see you’ve answered the question about when “late check out” will conclude multiple times above and that it is scheduled to go through the end of the ride on 1/2. Rumors are now pointing toward it running only through Halloween time, has their been any change in these dates? Do we need a special ticket to do the “late check out” experience? Do you know what time it starts each night? Will the merchandise and food/drink be available into January 2nd as well? Also does anyone know what the special food/drink is? You commented that you think the minority are posting their dismay about them changing this ride, so perhaps I’m one of the minority – however I live in Canada and we have frequently travelled to the US to go to Disney – Almost once per year the past 5 or 6 years. We normally go to Florida, but this year we went to California. I’m sad to see this ride changed. It was my favourite ride, and to be honest it will probably sway whether I return to Disneyland or go to Disney World in the future. I loved the vintage feel of it, and I love spooky stuff. I’m not a Marvel fan and neither is my family. Sorry to see it go. Super sad to see TOT of go. Best ride ever (okay Radiator Springs Racers ride is pretty awesome too). Cannot see how a Marvel themed ride will be better. TOT fits Hollywood themed area. Got to ride it a few times last week. The after hours is not all that, all they do is turn off the couple of videos during the ride. You still hear the audio and if you have ridden the ride before you pretty much know when it will start dropping. Still at least they tried a little change up. It appears they do it every night until the ride closes Jan 2nd. Just know they turn off FastPass for the after hours (they only give out for return times until about 5:00). It did seem to help move the line faster. Guess will have to go to WDW to ride TOT. Very disappointed but I will wait to judge the new theme when I see it. Will have to trust Disney’s Imagineers will do a good job.